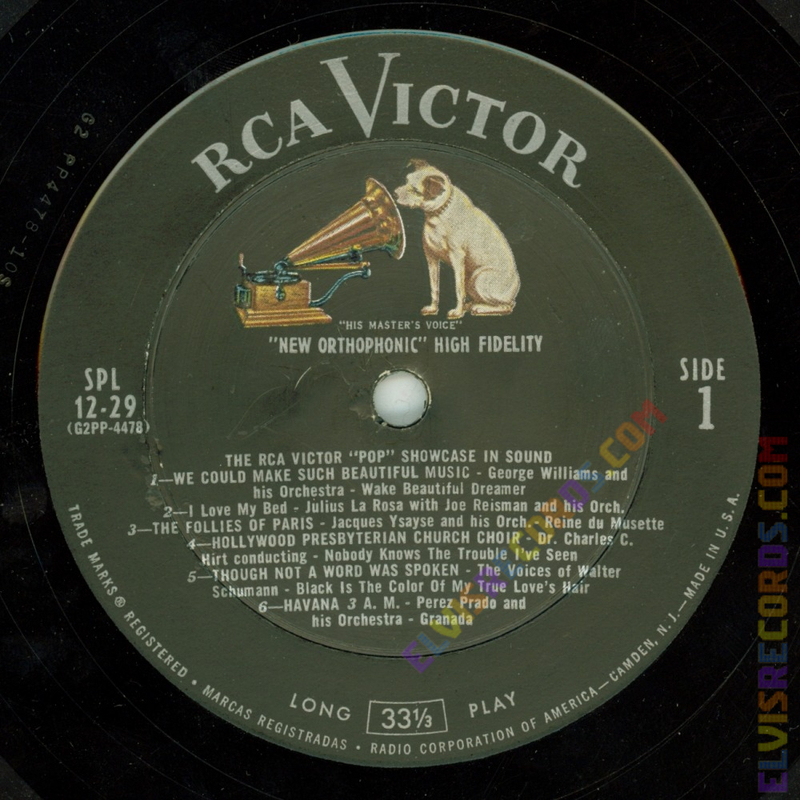 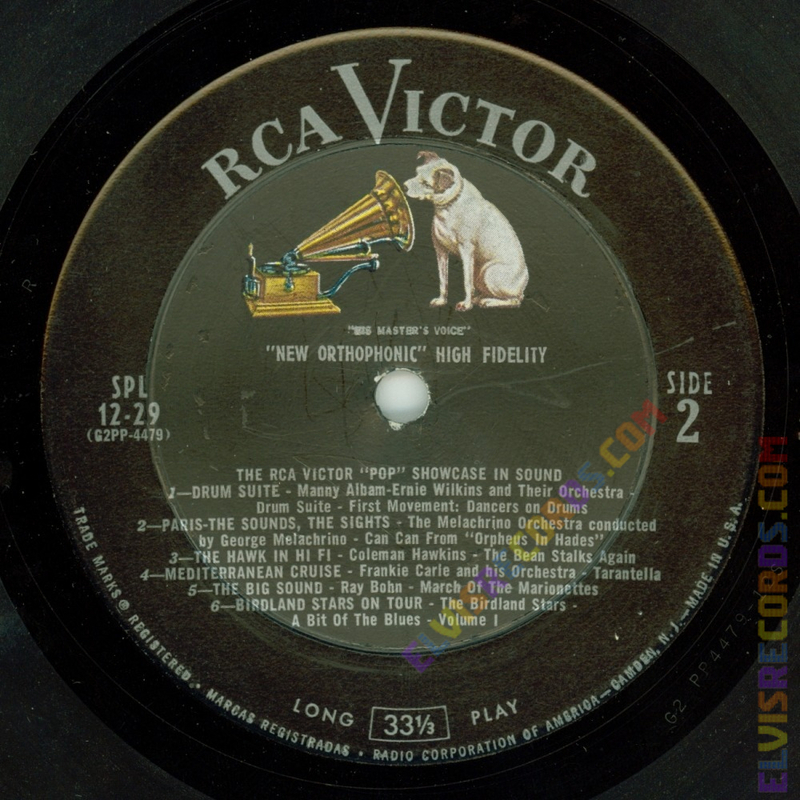 Cover Front: Catalog number upper and RCA Victor logo upper right. 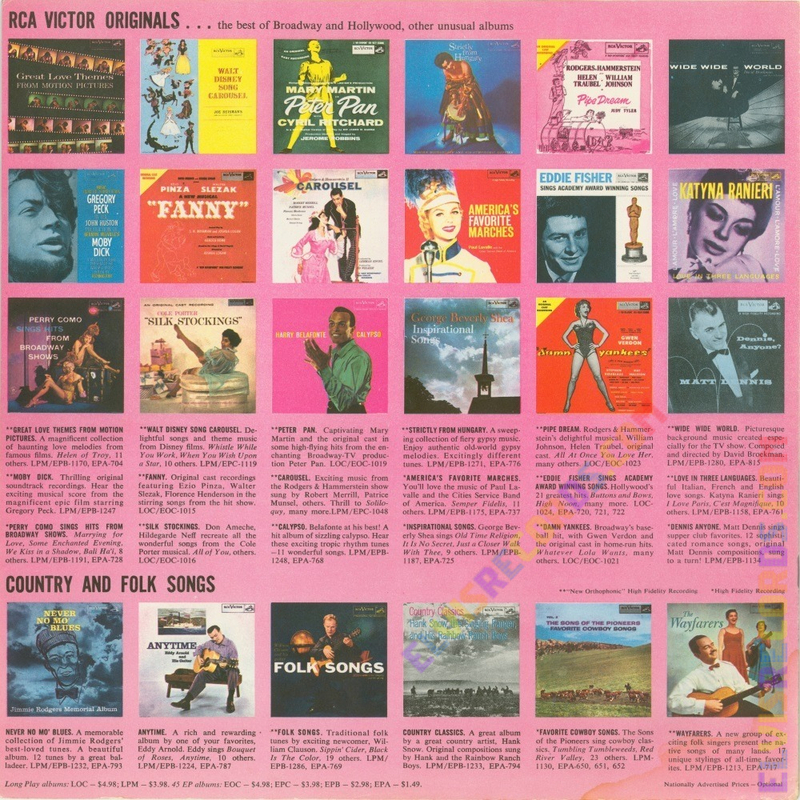 Pink background featuring 15 albums. 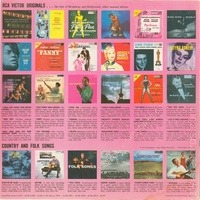 Cover Back: Pink background featuring 24 albums. 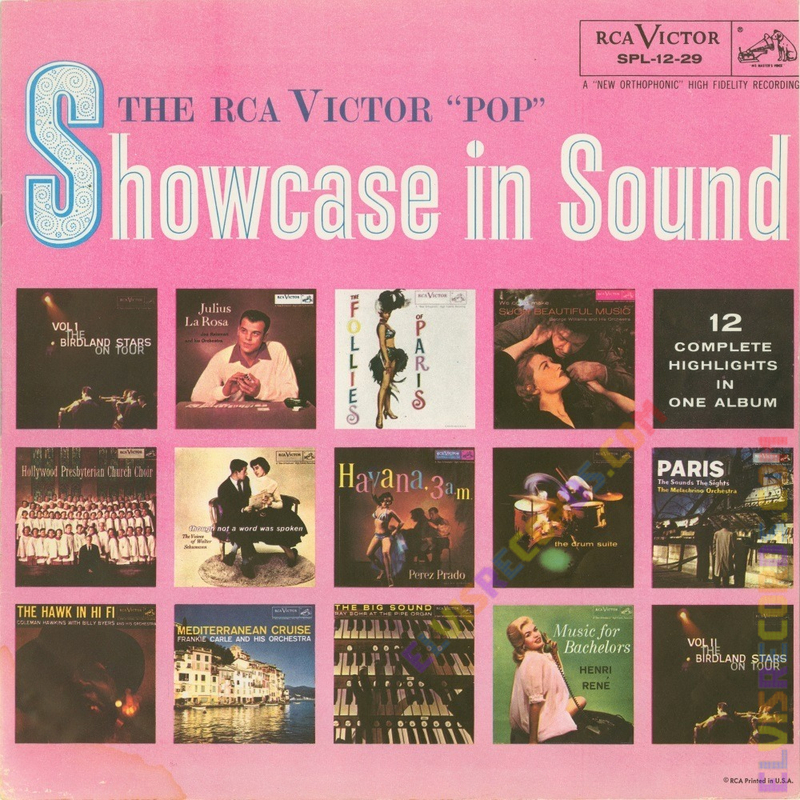 This is not a typical cover. 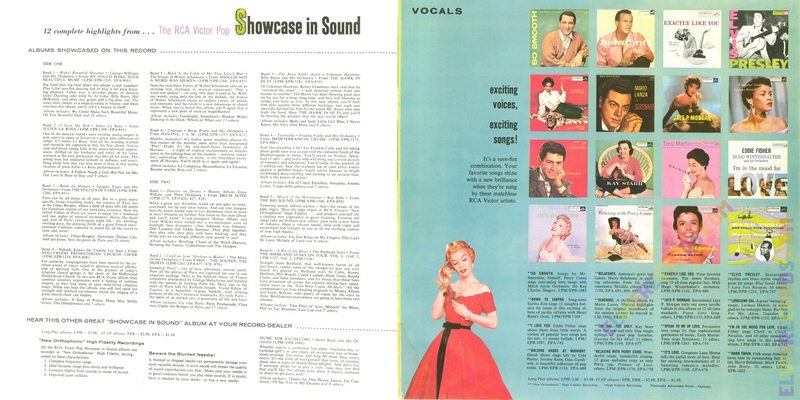 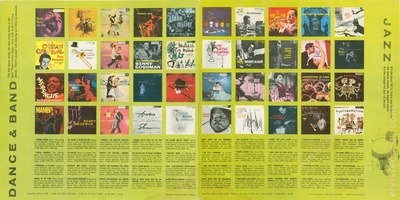 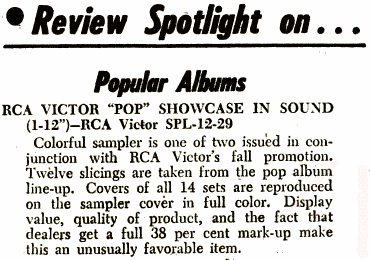 It is a booklet featuring images of many RCA releases of that era. Pages 1 and 2: Featuring the contents of this release plus 16 Vocal artists, including LPM-1254 Elvis Presley. 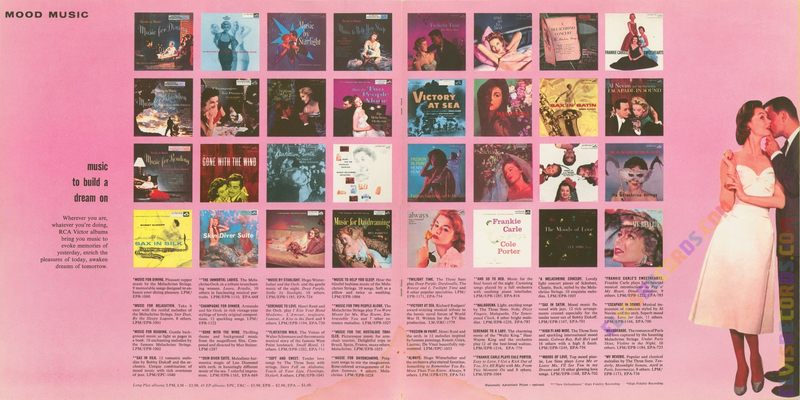 Pages 3 and 4: Featuring a spread in pink of Mood Music from 32 different albums. Pages 5 and 6: Featuring a green spread of Dance, Band and Jazz from 40 different albums. 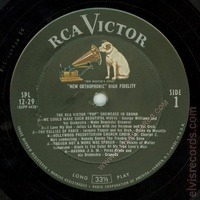 Disc: Long Play. 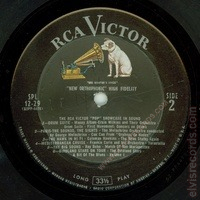 Black label.